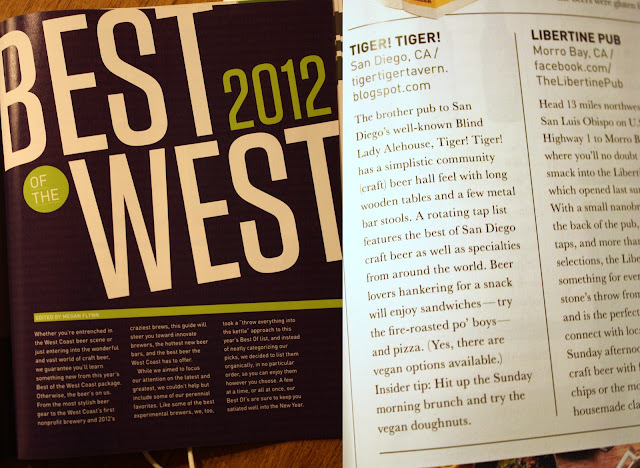 The brother pub to San Diego’s well-known Blind Lady Alehouse, Tiger! Tiger! has a simplistic community (craft) beer hall feel with long wooden tables and a few metal bar stools. A rotating tap list features the best of San Diego craft beer as well as specialties from around the world. Beer lovers hankering for a snack will enjoy sandwiches—try the fire-roasted po’ boys—and pizza. (Yes, there are vegan options available.) Insider tip: Hit up the Sunday morning brunch and try the vegan doughnuts.